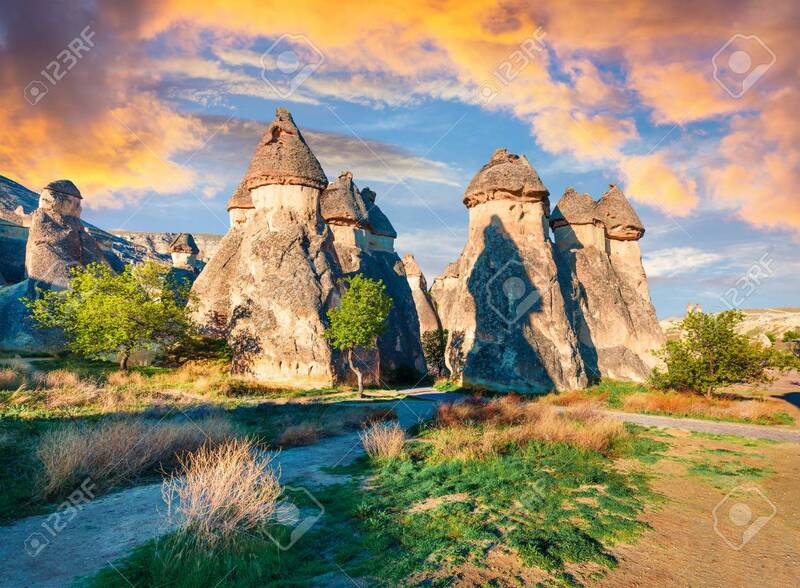 Magic Fungous Forms Of Sandstone In The Canyon Near Cavusin Village, Cappadocia, Nevsehir Province In The Central Anatolia Region Of Turkey, Asia. Beauty Of Nature Concept Background. Fotos, Retratos, Imágenes Y Fotografía De Archivo Libres De Derecho. Image 116551565. Foto de archivo - Magic fungous forms of sandstone in the canyon near Cavusin village, Cappadocia, Nevsehir Province in the Central Anatolia Region of Turkey, Asia. Beauty of nature concept background. Magic fungous forms of sandstone in the canyon near Cavusin village, Cappadocia, Nevsehir Province in the Central Anatolia Region of Turkey, Asia. Beauty of nature concept background.